"This isn't the plan! They re-routed me…" Momentum has unveiled a trailer for an indie drug thriller titled Beast of Burden, from Swedish filmmaker Jesper Ganslandt. 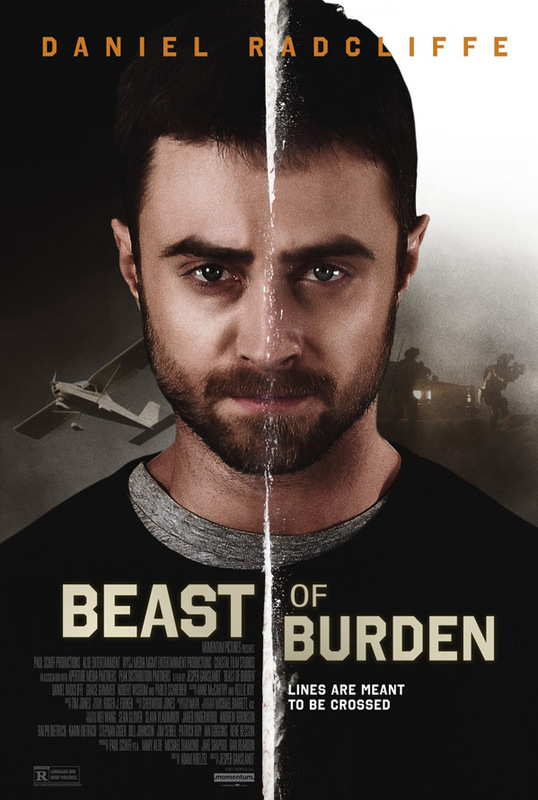 The film stars Daniel Radcliffe as a pilot who must deliver an illegal cargo of cocaine across the US-Mexico border for his final run as a smuggler to save his wife. Most of the film takes place in the cockpit following Radcliffe as he flies his Cessna across the border. The cast includes Grace Gummer, Pablo Schreiber and Renée Willett. This seems like it has some intense action scenes, with drones, helicopters, and guns. Crazy. Worth a look because it is so unique. Sean Haggerty (Radcliffe) only has an hour to deliver his illegal cargo. An hour to reassure a drug cartel, a hitman, and the DEA that nothing is wrong. An hour to make sure his wife survives. And he must do it all from the cockpit of his Cessna. 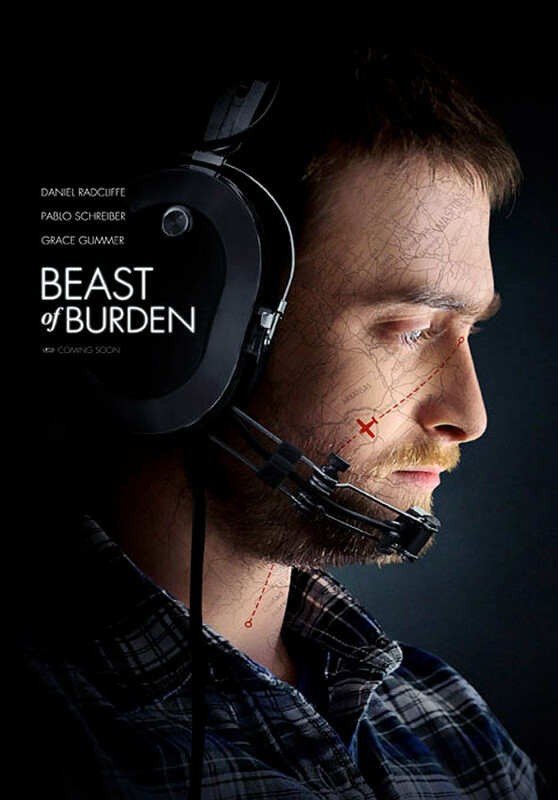 Beast of Burden is directed by Swedish filmmaker Jesper Ganslandt, of the films Falkenberg Farewell, The Ape, and Blondie previously. The screenplay is written by Adam Hoelzel. This hasn't premiered at any film festivals or elsewhere. Momentum Pictures will release Beast of Burden in select theaters starting early 2018. Stay tuned for more news. First impression? Who's interested in this?